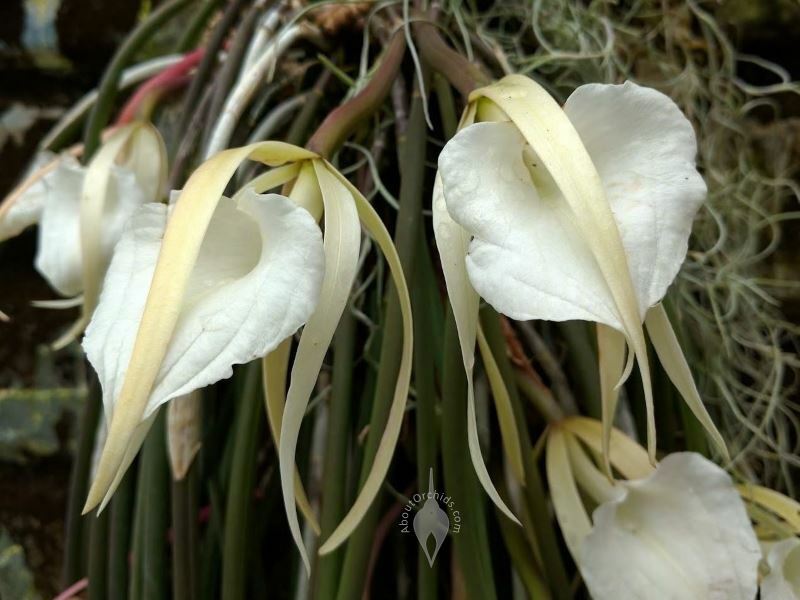 Brassavola orchids feature showy, durable, fragrant flowers. 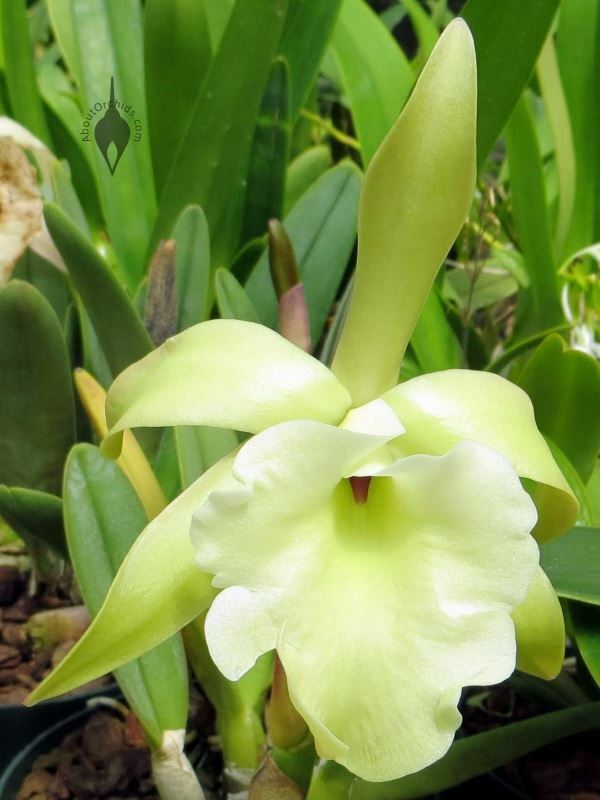 These Cattleya relatives have white or greenish-yellow blooms which emit a strong, sweet fragrance at night. 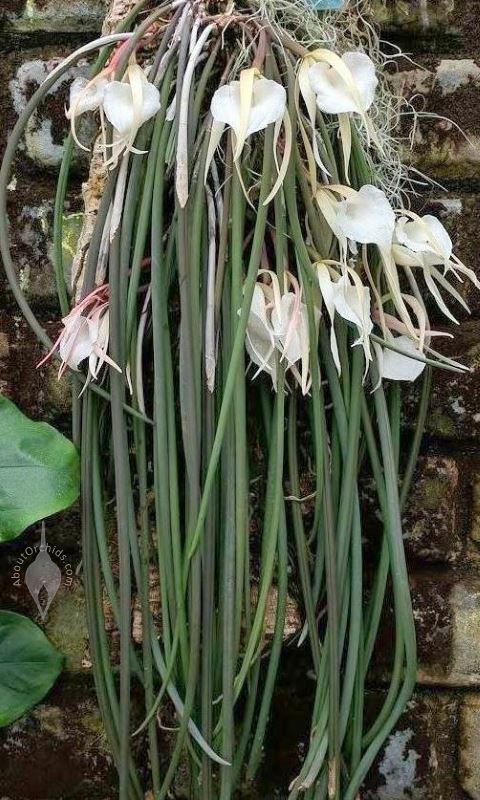 The most popular in cultivation is Brassavola nodosa, shown in the first row of photos above. It’s an easy species to grow. 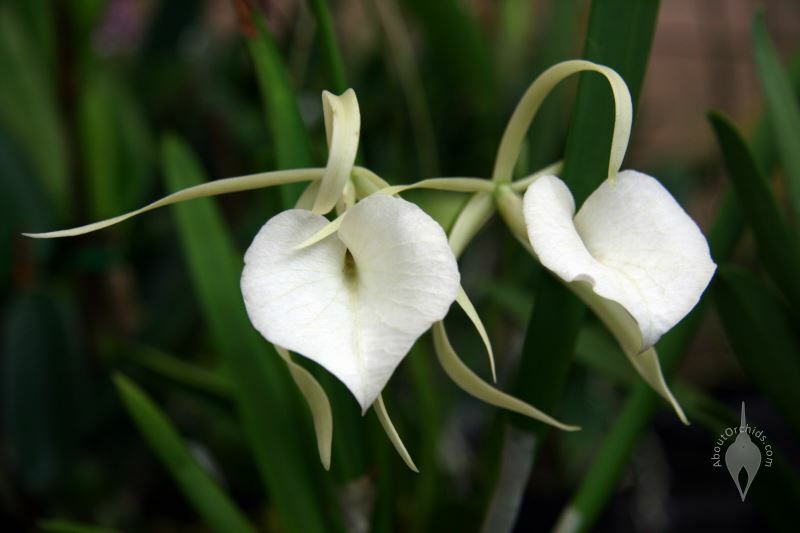 Native to Mexico, Central America, the Caribbean, and northern South America, its nocturnal perfume inspires the Spanish nickname orquídea dama de noche, or lady of the night orchid. 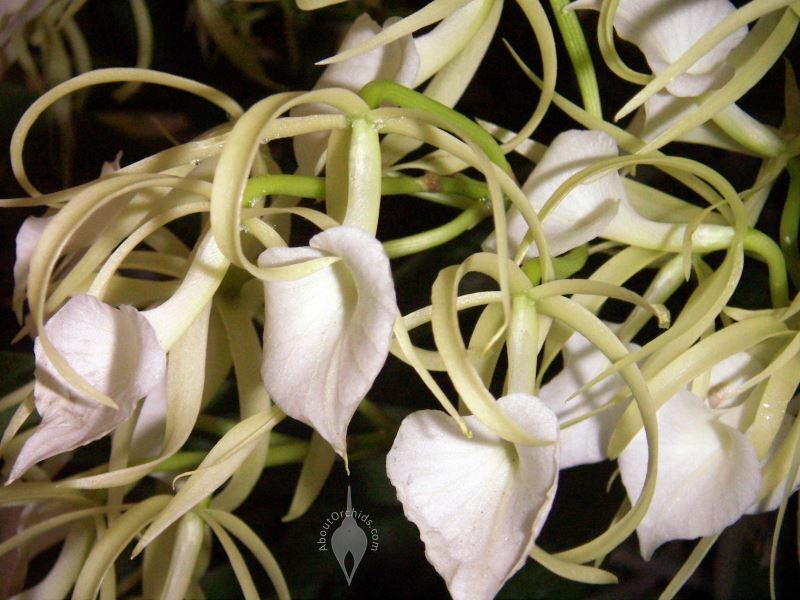 Brassavolas can handle warm, dry conditions better than many orchids. They need standard Cattleya care, with some full sun, good humidity and air movement, time to dry out between waterings, and winter dormancy. 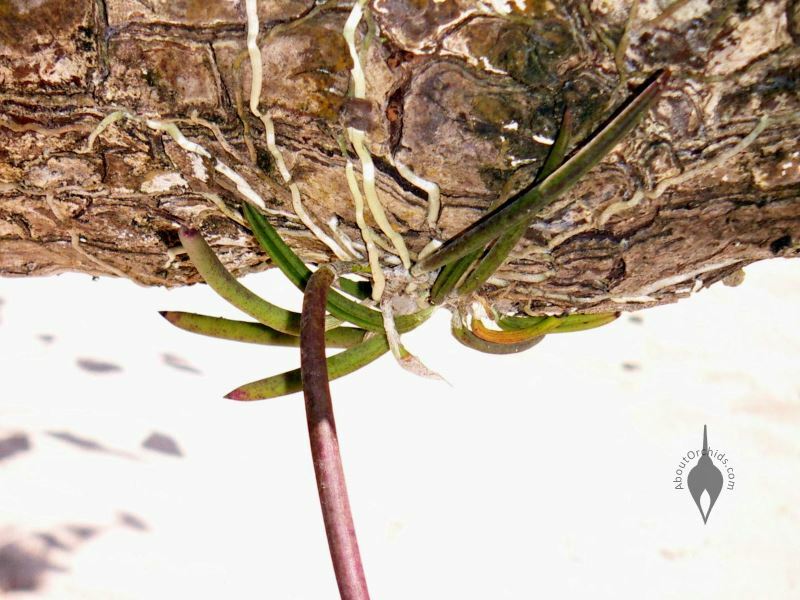 Their terete, or pencil-shaped, leaves are efficient at storing water, and can handle bright light. 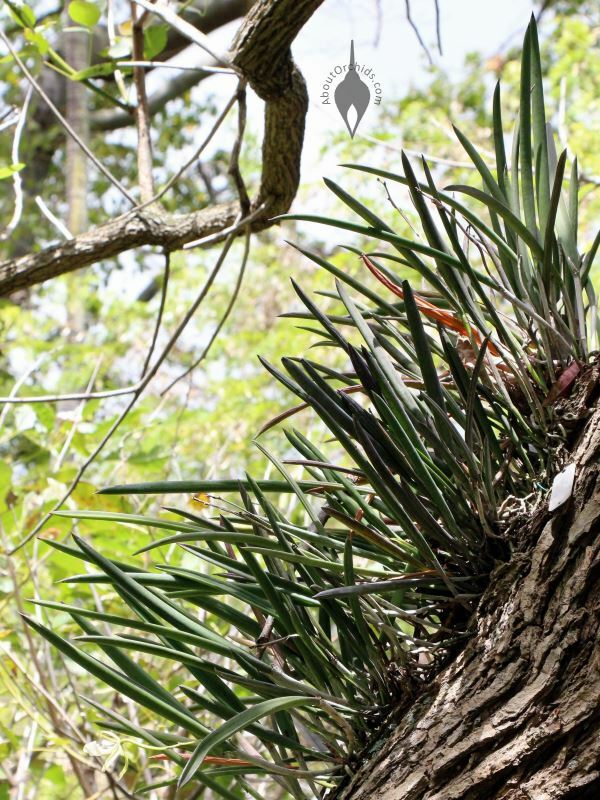 They are often grown on mounts, or in clay pots with large bark, to allow them to dry quickly. Brassavolas are part of the lineage of many Cattleya hybrids. 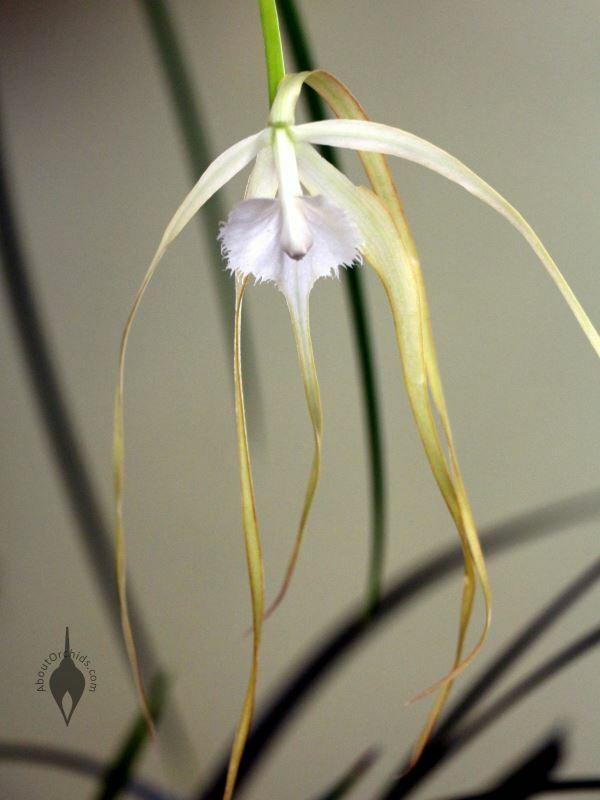 They have contributed their toughness, fragrance, elaborate fringed lips, or long, narrow petals to their descendants. 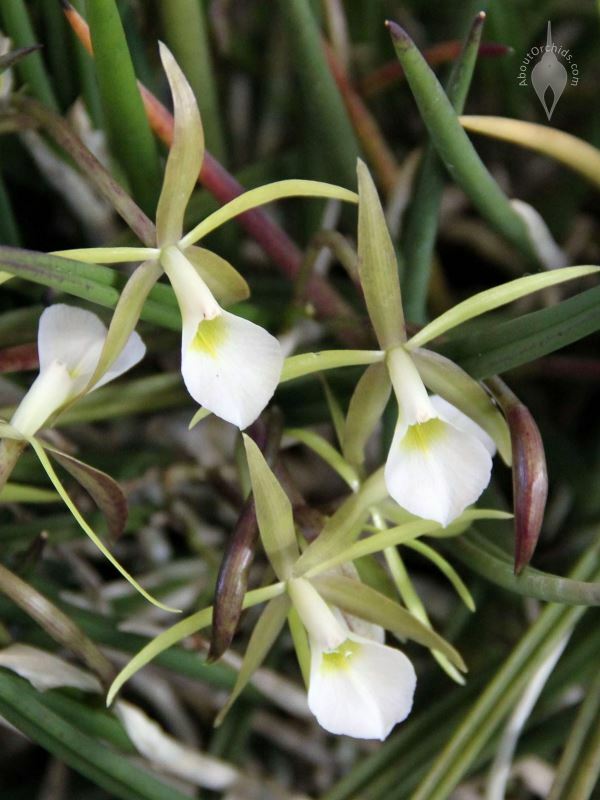 Plants with names like Brassolaeliocattleya (abbreviated Blc.) 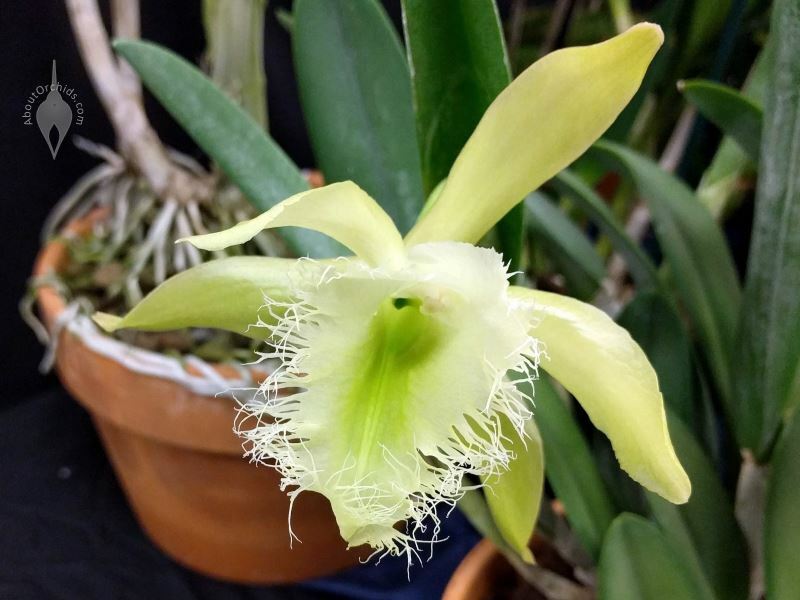 and Brassocattleya (abbreviated Bc.) owe the “Brasso-” to this genus. A couple of these species used to be Brassavolas until they were renamed as Rhyncholaelias, but old appellations often persist in hybrid names. The final photo in this post shows just how tough these plants are. 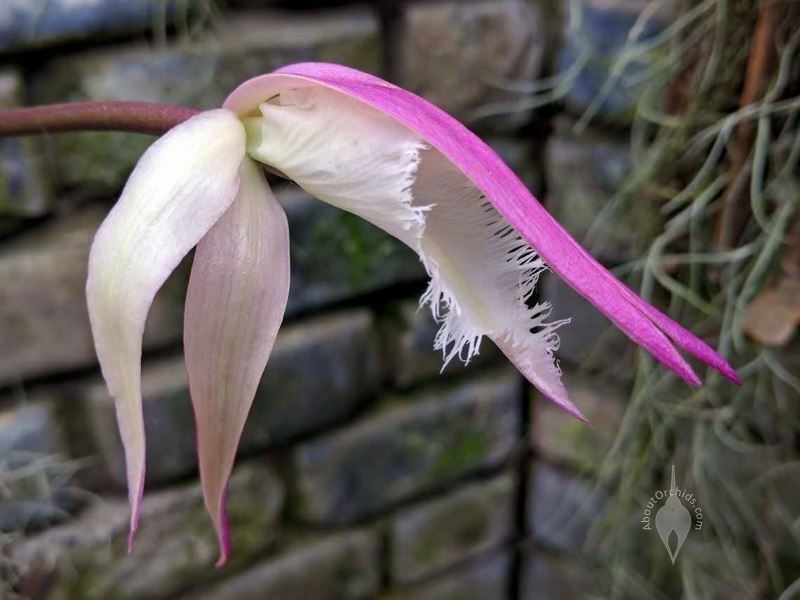 It’s a Brassavola growing on the underside of a tree branch on a beach in Costa Rica, only a few yards (a few meters) from the Pacific’s waves. In brutal tropical heat, and doused with salt spray, there were many other Brassavolas nearby, obviously happy despite the tough conditions. 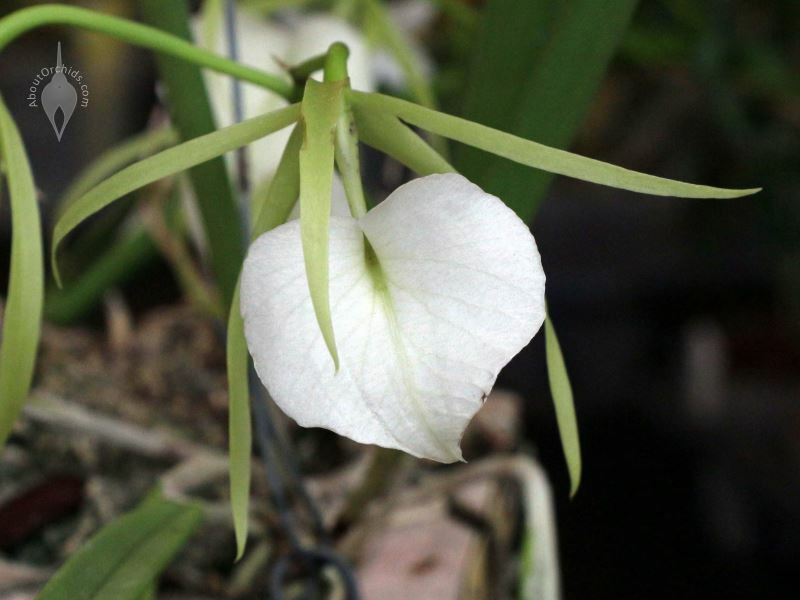 This entry was posted on Wednesday, November 21st, 2018 at 4:42 pm	and is filed under Dormancy, Fragrant Orchids, Growing, Photos, Warm Growers, Watering.